Armament: One 3"/50 cal. dual purpose mount and one twin 40mm gun mount, six single 20mm gun mounts, one depth charge thrower (hedgehogs), four depth charge projectiles (K-guns), two depth charge tracks. 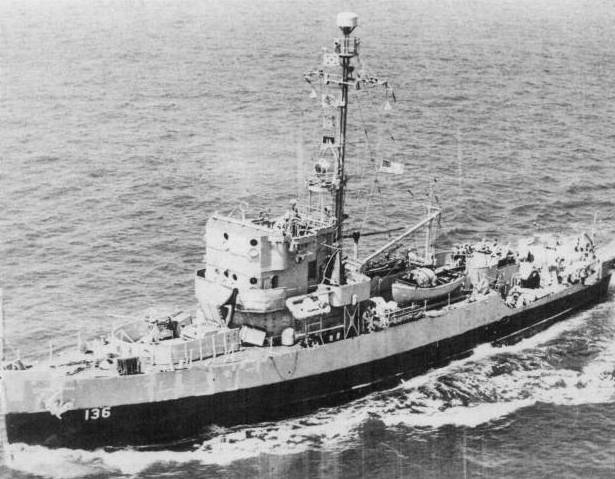 Knave (AM-256) was launched 13 March 1943, by American Shipbuilding Co., Lorain, Ohio; sponsored by Mrs. Geraldine Donohue; and commissioned 14 October 1943, Lt. Comdr. A. M. White in command. Knave sailed for the Virginia Capes 24 October 1943, via the St. Lawrence River arriving Norfolk 24 November. 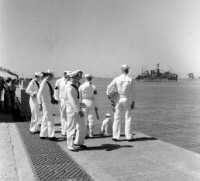 After a brief period as school ship at Little Creek, Va., Knave departed Hampton Roads for Rio de Janeiro via Trinidad, B.W.I., and Recife, Brazil, arriving 11 February 1944. She swept Brazilian waters until 4 April when she began 9 months of escorting convoys between Trinidad and Recife. On 1 January 1945, she got underway for the United States, escorting Pleiades (AK-46) and arrived Miami, Fla., 15 January. 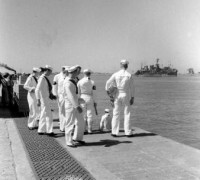 Transferred to Mexican Navy, 2 October 1962. renamed Cadete Juan Escutia.